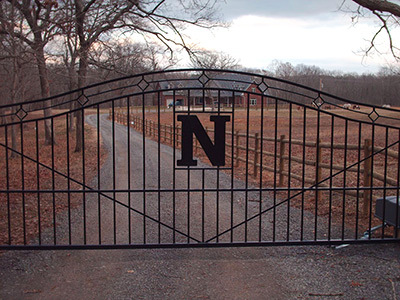 Tulsa Home Guard specializes in providing some of the best quality gate systems in the entire United States. Our expert team carefully constructs custom products to meet the specifications of both our residential and commercial clients. So, regardless of your requirements, we’re certain to deliver exactly what you need in a timely manner. You can trust us because we place extra emphasis on customer satisfaction, and we always aim to please. There are many benefits to ordering a custom gate system for your home or business, and most of them relate to security and privacy. All our products are durable and long lasting, which means you won’t have to order new ones for many years to come. We also specialize in maintenance of all our gate systems, so you can relax, safe in the knowledge that everything is covered in our initial quote price. With that in mind, we ask you to get in touch and start planning now. No matter how large or small your budget may be; we are confident our dedicated team can provide you with something functional and stylish for the price you want to pay. So, head on over to our contact us page today or call us at (918) 584-4923, and let’s start working together. You’ll find our customer service team to be very helpful, and they’re always ready to answer any questions you might have. It’s in our interests for you to be 100% satisfied with any work we carry out, so feel free to raise any issues that might concern you.